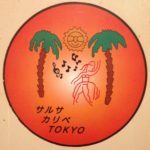 ☆ Japan Salsa Congress 2018 スペシャルチャレンジ!! Multi national world salsa champions on2 and chachacha world champions. One of the Mexican couples with the most experience and recognition at a national and international level. Instructors and judges of the best congresses. They have represented their country in the US, Canada, Peru, Chile, Spain, Greece, Italy and China. Multi campeones nacionales de salsa. subcampeones mundiales de salsa on2 y campeones mundiales de chachachá. Una de las parejas mexicanas con mayor trayectoria y reconocimiento a nivel nacional e internacional. Instructores y jueces de los mejores congresos a nivel nacional. Han representado a su país en EU, Canadá, Perú, Chile, España, Grecia, Italia y China. 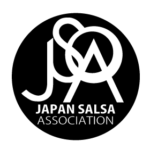 Japan Salsa Congress 2018 Special Challenge!! Cha cha Shine Challenge by Ernest Lopez & Maritza Gonzalez from Mexico! !